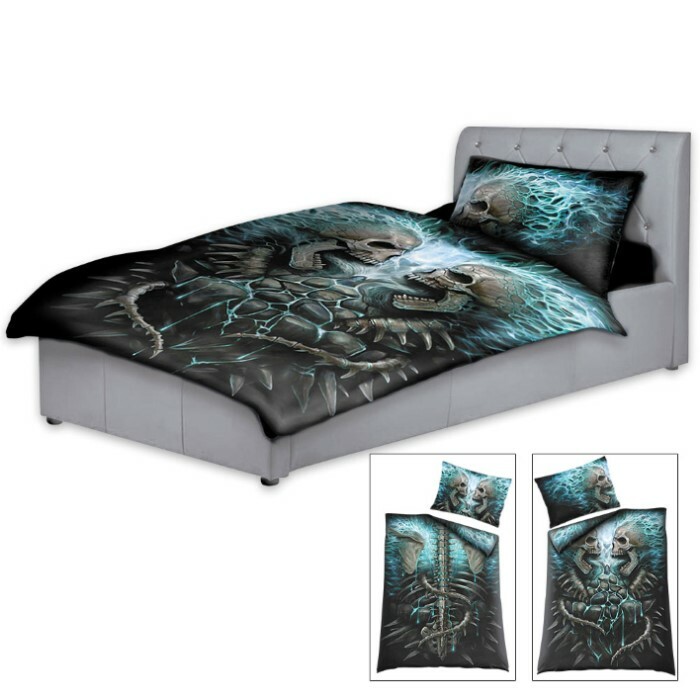 This duvet set is a fiery explosion of skulls, spines and bone, dripping in melting lava and blue flames. 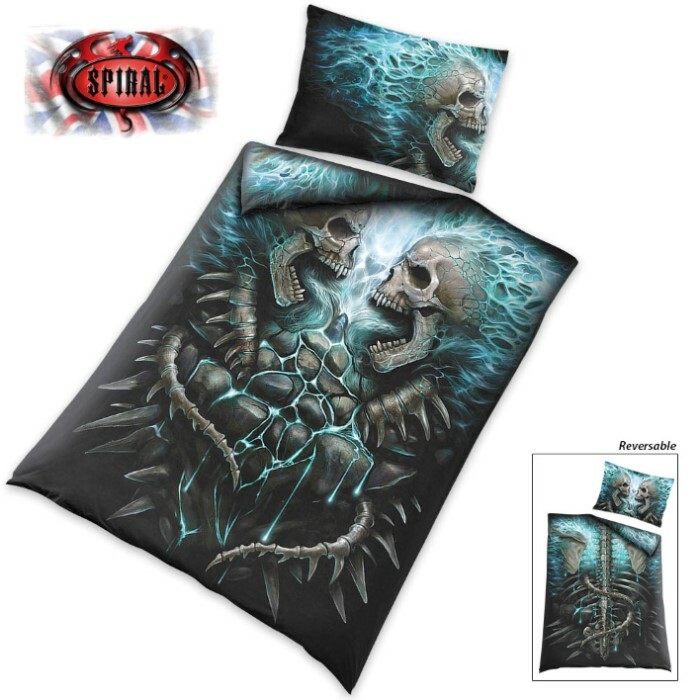 Bring this awesome depiction of two blue blazing skeletons into your bedroom with this incredibly artistic duvet. It features vivid original artwork and is made of top quality, 100% woven cotton. A matching standard sized pillow sham is included.